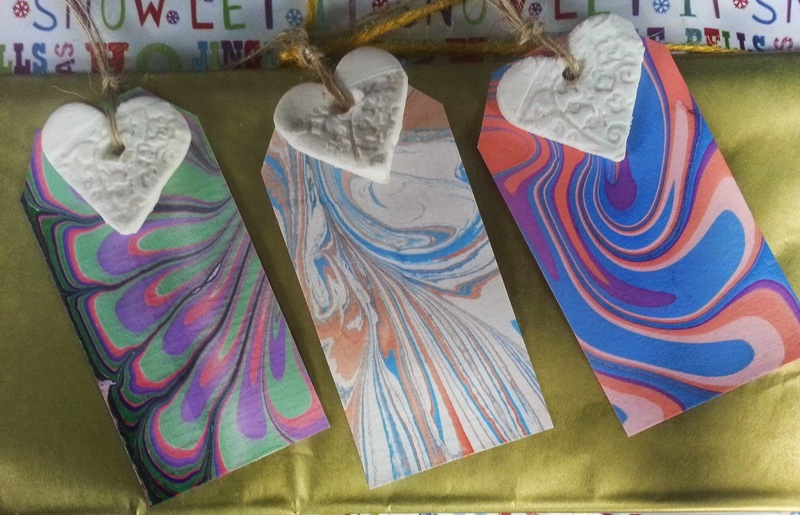 I have even had time to make my own present gift tags this year. 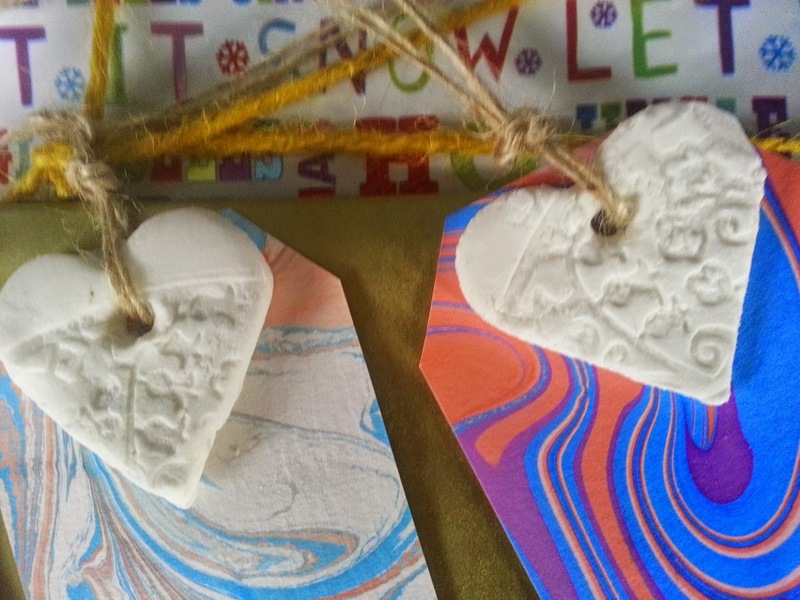 Hand marbled paper with these cute ceramic looking hearts. The hearts are so easy to make, using bicarb of soda, cornflour and water. Mix it all together in a pan and heat it gently, stirring all the time until it comes together like porridge. Now you can leave it on baking parchment to cool slightly. Then I divided it into half to roll out and pressed a paper pattern (just something random I had from a wedding) gently into the dough before using cookie cutters for the heart shape. I used a kebab stick to make the hole and tidied it up with a cocktail stick. Then you leave them to air dry for at least 2 days on a baking tray. Apparently if you bake them they can lose the whiteness, and that's what I loved about them. These were the second lot I made, the first ones were too big, too thin and too fragile, this size it much better and really cute! The lovely thing about using the pattern is that each one is slightly different, so they are totally unique! Don't press the paper too hard into the dough as it needs to be able to peel off without disturbing the dough.